Hello there Loves, I’m here to rekindle your love of bananas. Although I’m not the best baker, I absolutely love baked eats, especially banana breads and muffins. Cooking is where I find my creativity pouring out of me, it’s where I can add a little of this, a dash of that and voila, a simple masterpiece! But when it comes to developing baking recipes from scratch, that’s not my forte. Baking requires much more measuring and skill using the ingredients in the right proportions. This causes me to have so much respect for the bakers of this world, especially those willing to share there tips and techniques. 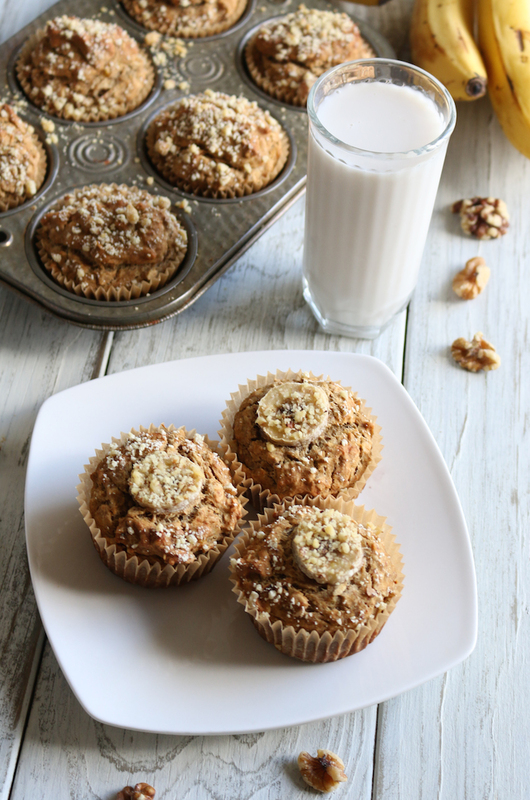 Vegan Gluten Free Banana Breakfast Muffins, the easiest banana muffin you’ll ever make! Typically when I hear the words gluten free, I don’t think of a fluffy and moist. This recipe though is so delicious, sweet, moist and yes, gluten free! If you know my family then you know that gluten doesn’t play well with our bodies. 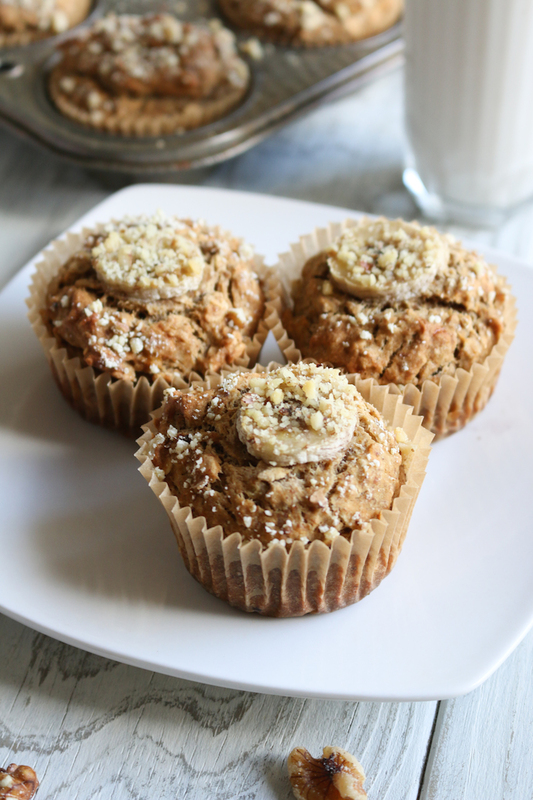 So I’m always looking for recipes that are gluten free, and this gluten free banana breakfast muffin steals the show! 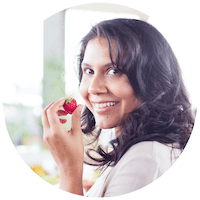 Inspired by my favorite food babe, Dana at Minimalist Baker, she knows how to work the chemistry department in the culinary world. So I always like to reference her recipes when attempting my baking experiments. The only bad thing about muffins, besides the fact that you always want more, is that they can often be sugar-heavy. 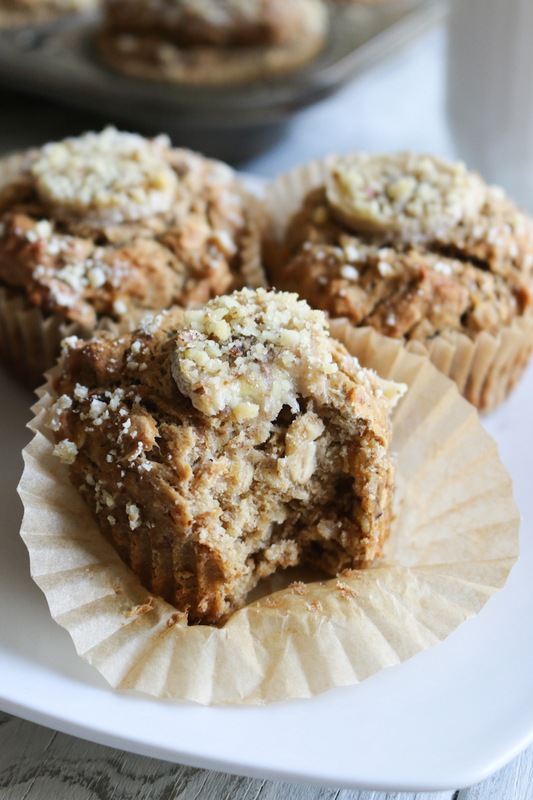 This recipe results in a slightly sweet, very moist, gluten free breakfast muffin with a hint of banana. What I love about this recipe is that it isn’t so sweet, so it’s a great breakfast grab and go. 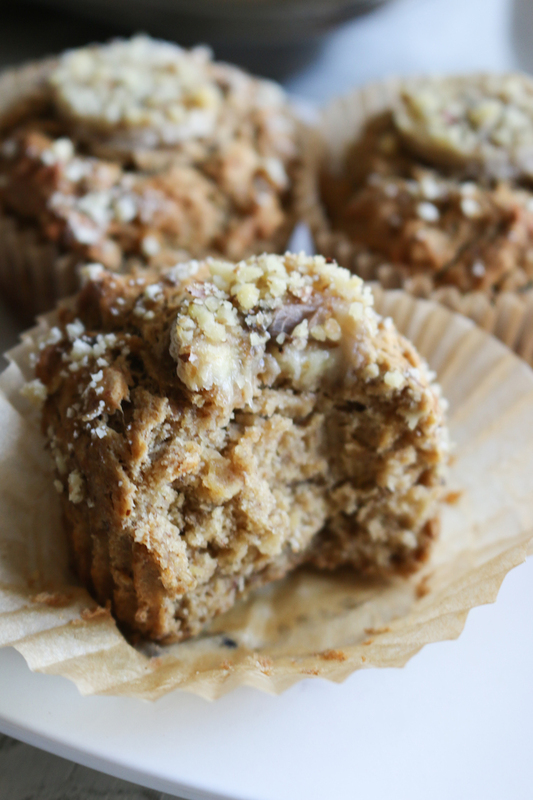 But for those of you who would enjoy a banana muffin with more sweetness or eaten as a “dessert”, feel free to add more coconut sugar, maple, or stevia. 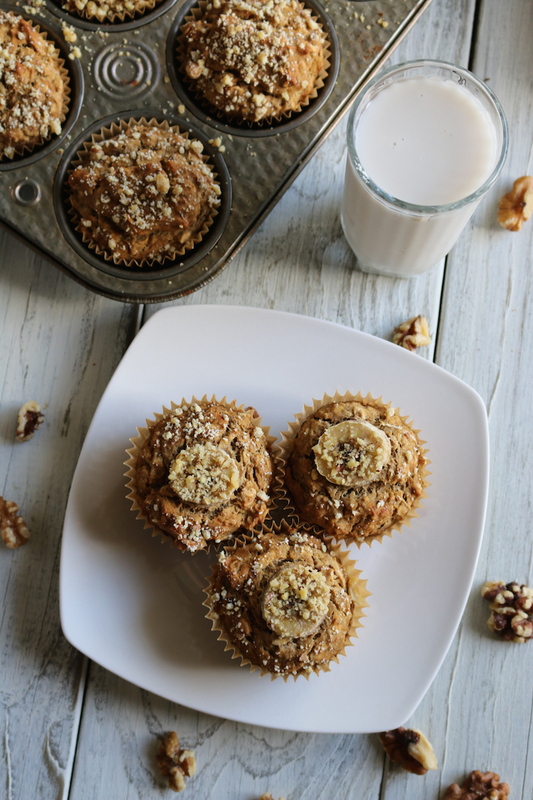 A simple yet classic vegan banana muffin recipe made gluten free. 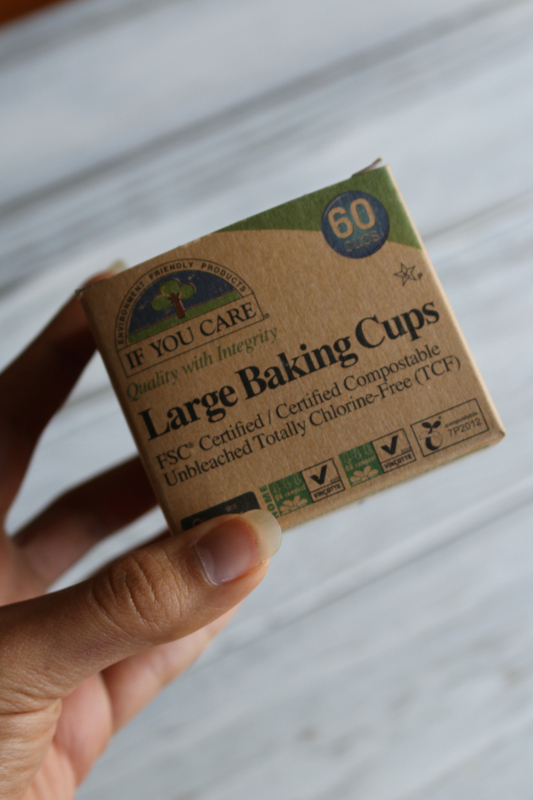 Preheat oven to 350 degrees F and either lightly grease a muffin tin or use cupcake holders. Then add bananas, medjool dates, flax seeds, coconut oil, and almond milk to a high speed blender (I used my nutribullet). Blend until smooth or if you would like it a bit chunky, only blend for a couple pulses. In a large mixing bowl, add gluten-free flour, oats, shredded coconut, baking soda and sea salt. Stir with a spoon or spatula until combined. Then pour your wet ingredient into your large mixing bowl and mix thoroughly. Lastly, fold in walnuts (optional). Divide batter evenly among 10-12 muffin tins, filling a generous ¾ full. Bake for 20 minutes or until tops are golden brown. Let cool for a few minutes, remove from muffin tin and serve warm. Store in a covered container at room temp for 2-3 days or in the fridge for up to a week. Freeze for longer term storage. What’s your favorite baking tips? And are you a baker, a cook, or both? Share in the comments below. Happy baking everyone!